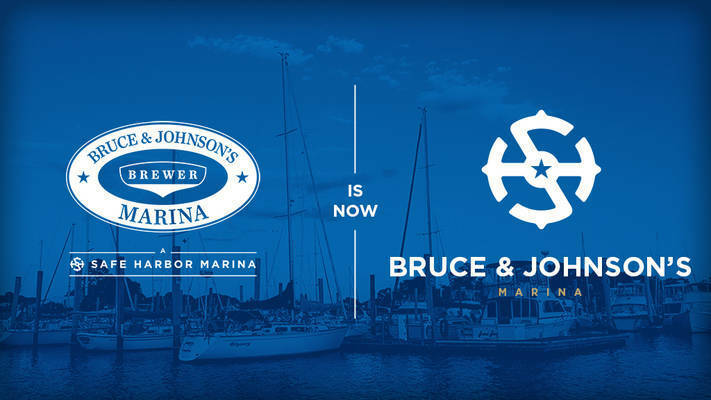 Previously known as a Brewer Yacht Yard facility, Bruce & Johnson's Marina is now proudly owned and operated by Safe Harbor Marinas after the two companies merged in 2017. 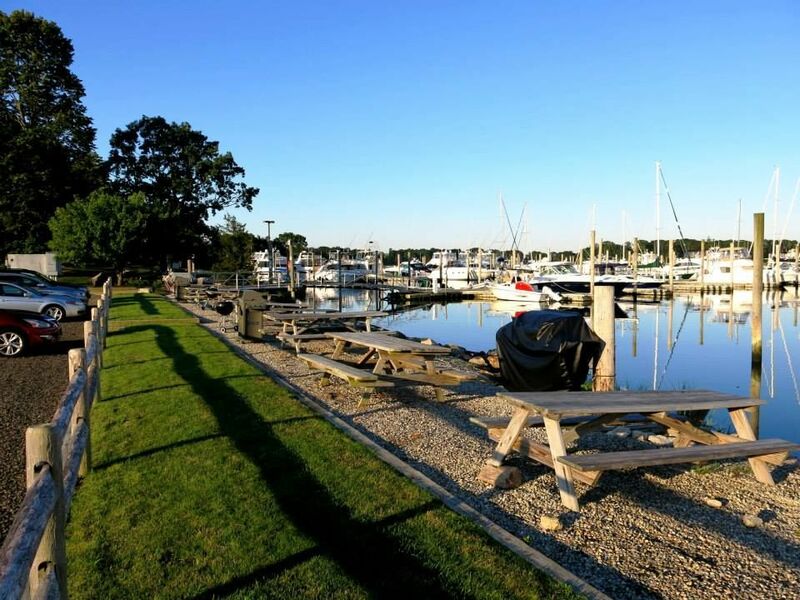 Close to New York City, yet only a few miles from New Haven, Bruce & Johnson’s Marina is conveniently located in Branford, CT, and is nearby to wonderful weekend cruising destinations. 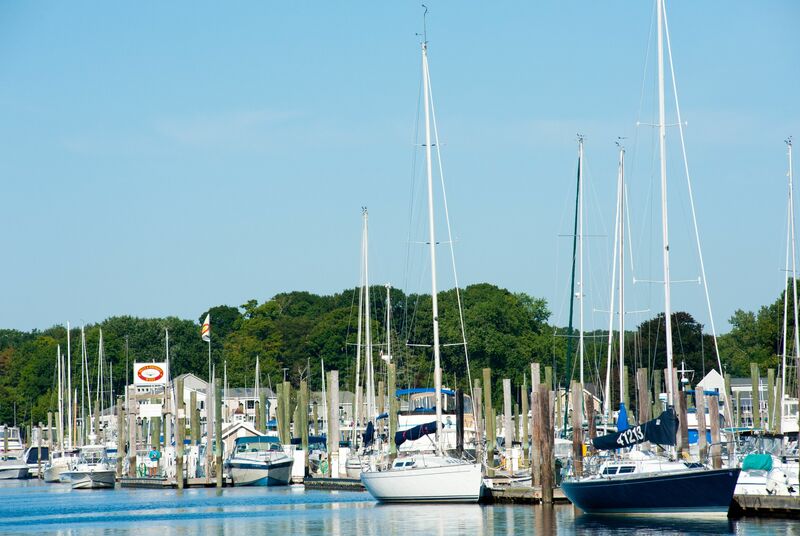 Branford is an idyllic setting for traveling boaters. On shore, there are plenty of opportunities for hiking, cycling and kayaking. Additional sites to enjoy ashore include: Stony Creek's Trolley Trail and the Harrison House Museum. 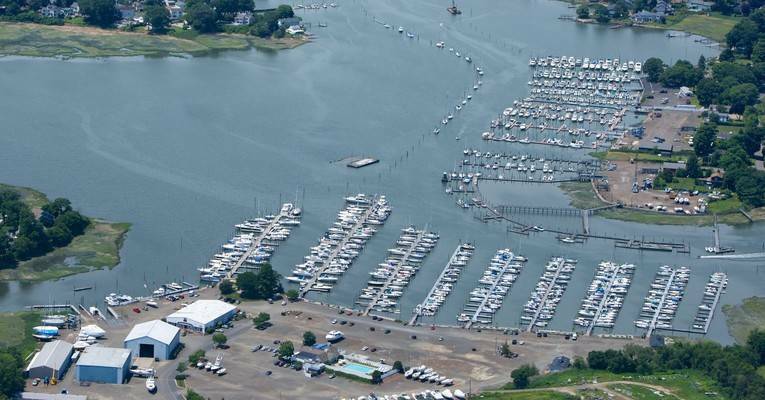 Only 3 miles away by water are the Thimble Islands with 30 islands for anchoring, birding and exploring. Branford Harbor Entrance Buoy, Cow & Calf R "34", Lat. 41° 14.3 N, Long. 72° 50.5 W. Follow marked channel into Branford River, NOAA Chart #12373. 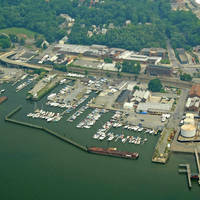 Bruce & Johnson's West Yard is the first marina on the left (west) bank of the river. 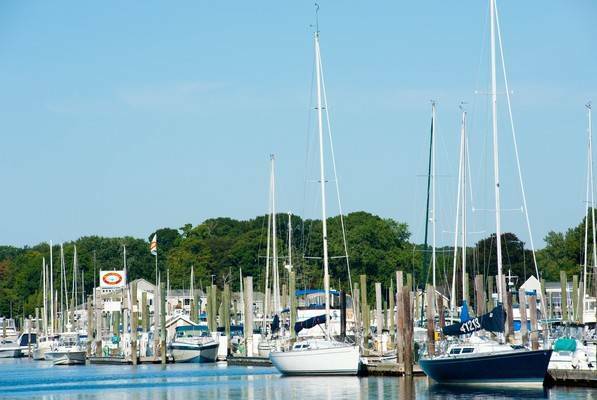 Note: Cow & Calf R "34" is NOT a Branford channel marker; leave to port entering Branford River. (Also note: Upon entering the channel, the Branford Yacht Club is the first marina seen on the left (west) bank of the river, followed by our West Yard. This yard houses our gas dock and our customer slips; most transients are docked in our East Yard, which is past the West Yard and on the right of the channel). REFER TO CHART 12373!! Good facilities, could add some more amenities. High quality docks. Dockhand who greeted us was knowledgeable and told us everything we needed to know. Weekend shuttle service to restaurants would be nice, as the on-site restaurant does not take reservations and the line was (not surprisingly) long on the August Saturday eveing we stayed. The wait for an Uber to an off-site restaurant was a bit long given the suburban location. We appreciate your feedback and will take your ideas into consideration. Thank you for staying with us at Bruce & Johnson's. We hope to see you again for a future visit! From the time we first docked our boat at Bruce and Johnson’s Marina, to when we finally headed home, the experience was wonderful. Dock boys were very helpful in helping us dock. We always enjoy the restaurant and it continues to be a favorite eating place for us. The grounds are perfect for our needs enjoying the swimming pool and the eating areas. Everybody is very helpful and makes our stay so enjoyable. We always come with a group of us from home and make sure that we do this trip every year. Thank you for your wonderful review and for choosing Bruce & Johnson's each year! We love hearing that you enjoy the facilities, the area, and our team. Already looking forward to seeing you and the group next year. Until then, happy boating! DOCKS WERE CLEAN AND THE STAFF HELPED US WITH THE DOCKING; VERY PROFESSIONAL!! We will definitely be back. Loved it!! Great pool, docks, resturant and dock hands. Full time slip boats owners very friendly. Suggest at Brewers West pilingthey post arrow sign Bruce and Johnson ahead. I pulled into wrong slip, my fault. Draw 6 ft of water so they suggested coming in at full or half tide. Had no issues on channel. Needed to pay close attention to outside harbor channel markes from branford reef, lots of rocks. We appreciate your feedback! 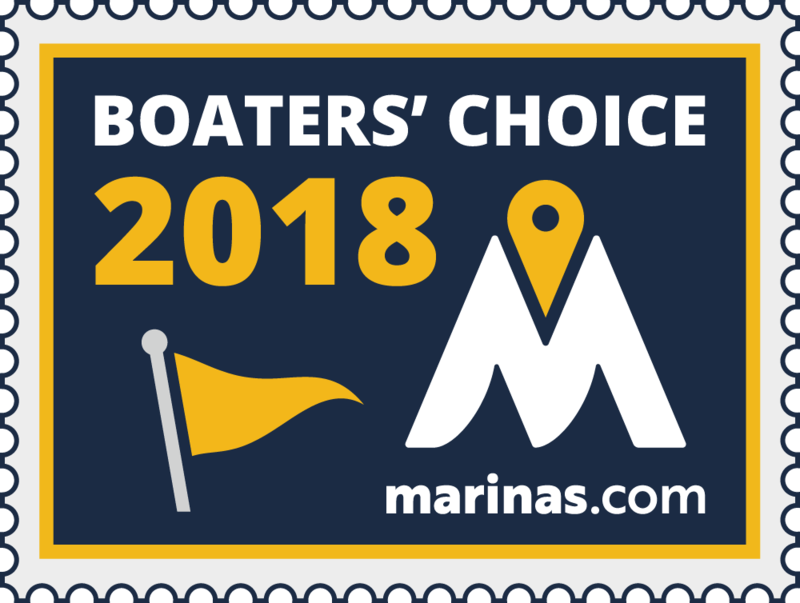 Thank you for choosing Bruce & Johnson's Marina. Hope to see you again soon. Quiet and secure. Only complaint was that process for signing up for WiFi dragged me thru page which tried very hard to get me to pay for it when in actuality it was free. As always, predictably great marina with good accommodations, clean and plentiful. Service team is always on-hand to address issues. It is our regular stop over destination. We enjoyed reading your great review! Thank you. It is always a pleasure having you here at Bruce & Johnson's. Looking forward to seeing you next time. Take care! Great spot for an overnight!! Deck hands were great, met some great folks! Would highly recommend!! Thank you for your great review and recommendation!! Great marina offering excellent service. The channel is very well marked, and is easy to enter. Fantastic dockhands, really clean (air conditioned) showers all in a really pretty location. Thanks for the review. Come back and see us again, and we will try to earn that last star! Thank you for staying with us at Bruce & Johnson's. We appreciate your feedback and will look into this situation. Hope to see you again soon! Always friendly and helpful, the youthful staff are very energetic and ready to help you in or out. Floating docks makes it effortless! We appreciate your great review and thank you for choosing Bruce & Johnson's. Our team is great and always full of energy, and it makes us happy to hear that you agree! We hope to see you at the marina again soon. Great service, great dockhands, extremely friendly. That is why I come back every year! We are always happy to have you here at Bruce & Johnson's! Thank you for the review and for making us an annual stop. Looking forward to your next visit. 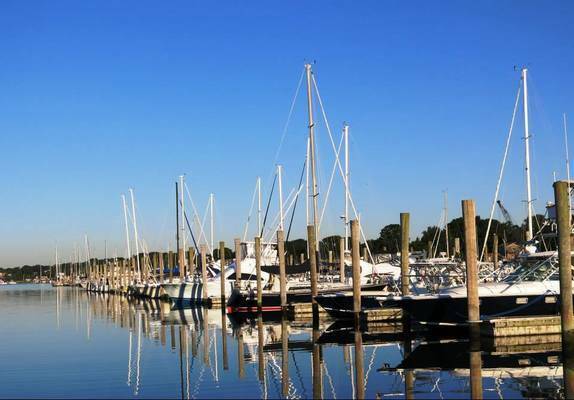 Safe Harbor/Bruce & Johnson marina is a great place stay. 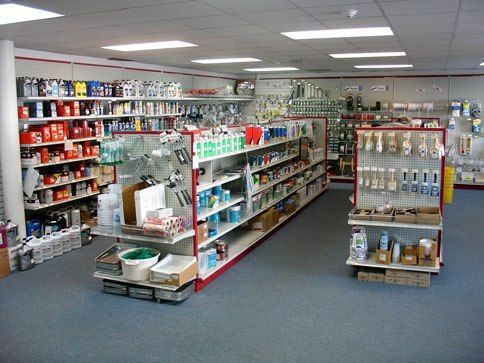 All of the staff was exceptionally friendly and helpful. The marina management team (Tom and Bruce) went out of their way to help us and make us feel at home. 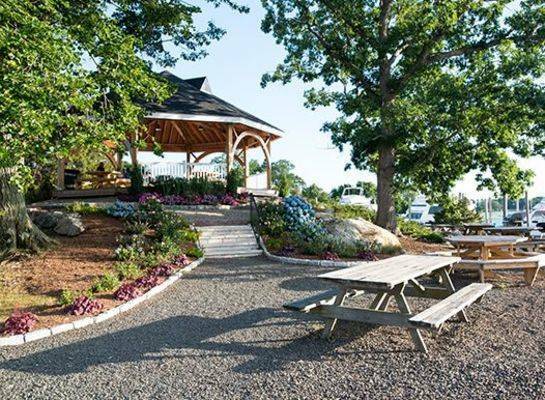 The marina grounds are impeccably maintained, the slips are just right, and the facilities (bathhouse, pool, picnic areas, shop, restaurant) are all top flight. I would recommend this marina to everyone. Wow! Thank you so much for this great review and recommendation! Our goal is to provide our guests with a first-rate marina experience, and it is always awesome to hear when our customers agree. We appreciate your business and hope to see you at Bruce & Johnson's again soon! Great place. Very clean and lots to do in close proximity. Would go again. Thanks for the review and for staying with us at Bruce & Johnson's. We would love to see you again. Come back anytime! Thanks for your review! We look forward to your return to Bruce & Johnson's. 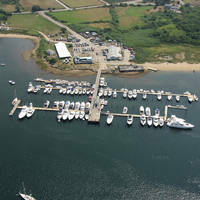 Well operated, clean, and friendly marina. The on-site restaurant excellent. We had a slight problem (ours) with the reservation but Tom quickly took care of it. Will definitely revisit! Hi there! Thank you very much for visiting us at Bruce & Johnson's and for your lovely review. It is excellent to hear that you enjoyed the marina and our team along with the restaurant. We are already looking forward to your next visit! Excellent facility and restaurant. Very helpful staff. A little too expensive for me. Thank you for visiting Bruce & Johnson's Marina. We also appreciate the review and hope that you will consider visiting us again in the future. Great marina. Well protected, nice and quiet. Big clean bathroom and great restaurant. We chose Branford as a stop mostly due to distance between our prior and future stops, but will definitely consider cruising back this way. We appreciate the awesome review and are happy that you enjoyed your stay as well as our facilities. Please come visit us again next time you are cruising this way. Happy boating! Short stay, but great service as expected. Made the reservation on Dockwa and shortly after got a phone call confirming, then another asking when we would arrive as the dock hands could stay a little late if needed. Came in near high tide with a 6’-0” draft and we were fine. Channel looks narrower on the charts. Just follow the guidance and you will be fine. Would love to come back ! Thank you for the great review of the marina. We also appreciate the details about your experience making the reservation and your arrival. You are more than welcome back anytime! Hope to see you soon. Enjoy your summer on the water! One of Jack Brewer's destination marinas. Huge! But also the place to go for yacht repairs. Particularly those scratches and dings that need special professional talent to restore your vessel to like new condition. Beautifully maintained grounds and great restaurant on site. GM Bruce Kuryla is tops. I had requested an end-dock, and even though there were a few open, they gave me a slip deep in the marina. Arriving dock hand seemed very inexperienced with dock lines. No ice available. Dockhouse didn't open until 10:30am the next morning (Monday). He arrived at 10:40 and helped us reverse out. Also, the WiFi was not working anywhere in the marina. On the plus side, great restrooms and great on-site restaurant. I just wish the marina portion was better managed. Prompt service and courteous staff. Clean facilities and available power. We wish our Brewers in Stamford could be as great as Bruce & Johnson! Friendly, helpful staff. - great pool and good dockside grill made the short stay totally enjoyable. Slips are tight though if that's a concern. 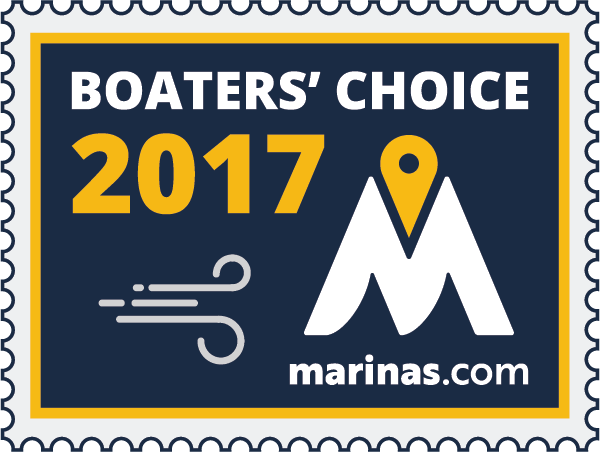 Brewer Marinas deliver! Nice facilities. Great and helpful staff. Enjoyed going into the town. 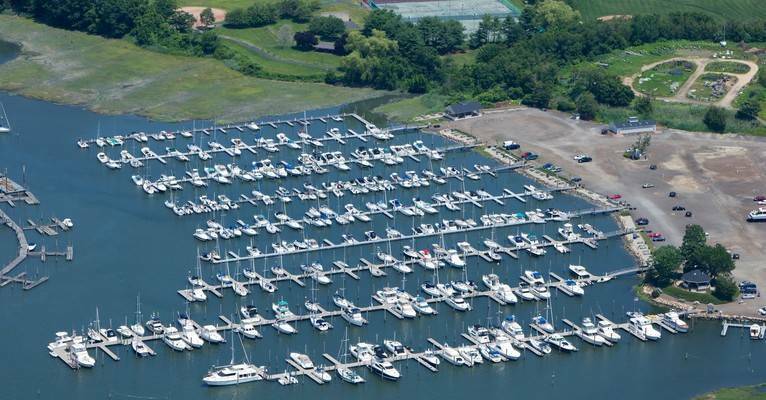 Very nice marina, clean and well equipped. Not happy that the new owners have discontinued the cruising club discount, this was one of the reasons we favored staying at Brewer yards on our vacation. Also, no "welcome bag" anymore... Looks like Brewer will no longer be our first choice for transient dockage. Great - the staff was wonderful on a very busy weekend. Love staying there. Great Marina, this was my second time there for the fireworks. They easily accommodated our group of twenty boats. Great stay at this marina. Everyone was very friendly and welcoming, marina was easy to locate and navigate to my assigned slip. Would stay here again in the future. Stayed for a week over the summer of 2011. Very nice. We loved the restaurant and food was very good. The pool, picnic area, laundry and bathrooms are all top notch. 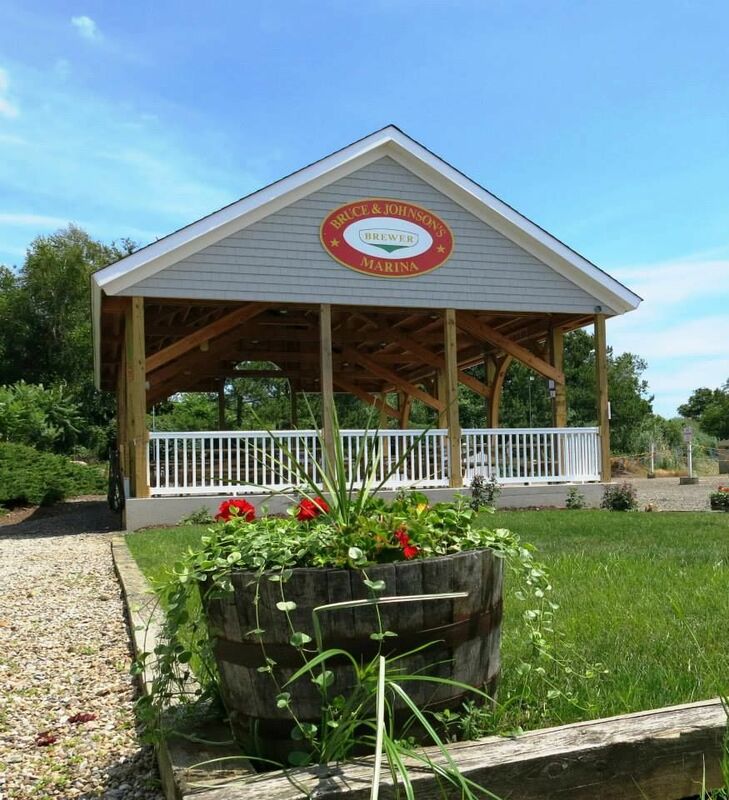 We were particularly impressed with how the friendy staff maintains the grounds. Beautiful flowers everywhere and the docks are kept very tidy. We did explore outside of the marina. Town 10 mins. away. Definitely on our list of repeat marinas. One of our favorites also.